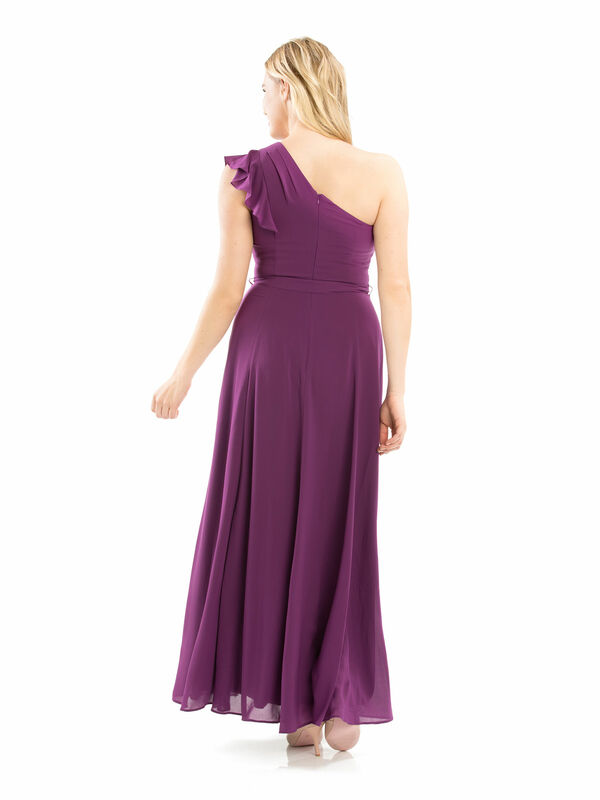 My Love For You Dress https://www.review-australia.com/au/my-love-for-you-dress-purple/RE19DR245.REPUR001.html Look and feel like a goddess in this heavenly one-shoulder occasion gown. Designed to create a classic floaty feminine silhouette, the My Love For You Dress features light-weight fabric in a divine grape purple, a tie waist and an elegant one-shoulder finish. My Love For You Dress is rated 4.9 out of 5 by 23. Rated 5 out of 5 by Megs88 from Flattering formal dress My daughter wore this to her senior formal. We took it to a dressmaker to get minor adjustments done so that it fitted her perfectly. It is a size 10 and we took it in a bit at the sides. On the day of the formal she had heaps of compliments on the dress and the colour of the dress, in person and on social media. It is very flattering to her shape. Very happy! Rated 5 out of 5 by Raskal from I'd had my eye on this dress for ages.... I'd had my eye on this dress for ages and finally bought it online trusting Review's consistent sizing and I'm so glad I did! 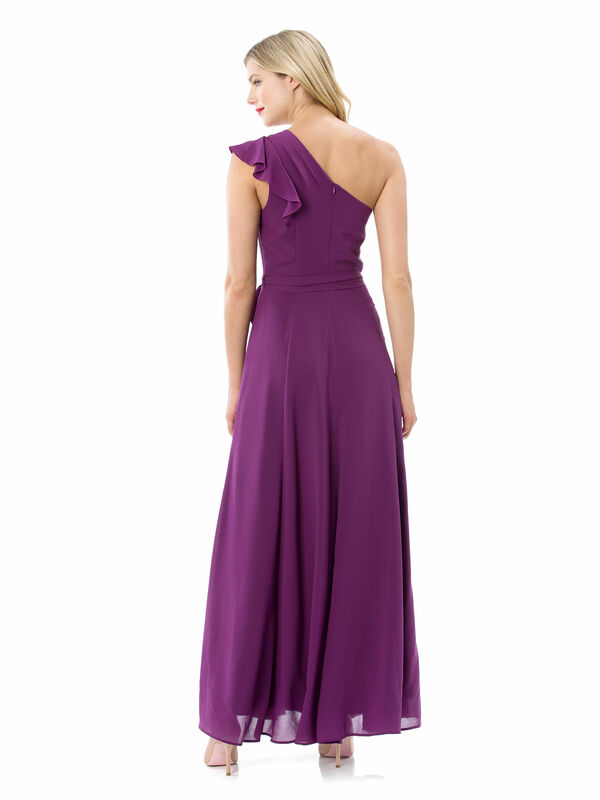 The colour is strong and feminine and the one shoulder is so flattering. The length is perfect for me at 5'5 and fits my body perfectly (but has enough give for a good meal and drinks). I would recommend this dress to anyone! Rated 5 out of 5 by Seela from Beautiful soft & flowy fabric I bought this for my cousin for Christmas last year, as when I saw this dress online, I immediately thought of her as she loves wearing 1 sleeve dresses. When the dress arrived in the post, I was curious so I tried it to see how it looked on me and I loved it. I am only just over 5 foot so definitely too long on me. My cousin loves the dress. Rated 5 out of 5 by KazzaB from Beautiful in every way I looked at this dress for weeks. Then finally took the plunge and bought it. And what a great decision it was. It is beautiful to wear. A gorgeous colour. And a dress that almost every person I spoke to at the function I was attending commented on. Rated 5 out of 5 by Camille from Better than I imagined I bought this dress for a fancy dinner. I'd seen it online but was afraid to try it that it might suit me. I was SO wrong! This dress is almost the most beautiful thing I've worn. Looking forward even more to the event now! Rated 4 out of 5 by Eviee from Love the way the dress sits I bought this dress for special functions and occassions. The dress flows very nicely. I like that it has a sash/ribbon to tie around the waist as you can then adjust it to your waist size and keep the shape of the dress. Rated 5 out of 5 by nikorujonzu from Great Bridesmaid dresses I bought two of these for my bridesmaids, they are two differently shaped women but it suited them perfectly. They both found them to be comfortable, and the colour is exactly what I want!